Dawes Black Horse Ale label circa 1888-1926. Dawes Black Horse Extra Fine label circa 1910-1939. Dawes Black Horse Porter label circa 1921-1939. Dawes Black Horse Porter Top label circa 1910-1939. Dawes Export Ale label circa 1921-1939. Dawes Cream Porter top label circa 1910-1939. Dawes Black Horse Ale label circa 1927-1928. Dawes Black Horse Ale label circa 1939-1952. Dawes Black Horse Export Ale label circa 1939-1952. Dawes Black Horse Ale circa 1937. Dawes top labels circa 1939-1952. Dawes Black Horse Porter label circa 1940. Dow label, 1952-1967. 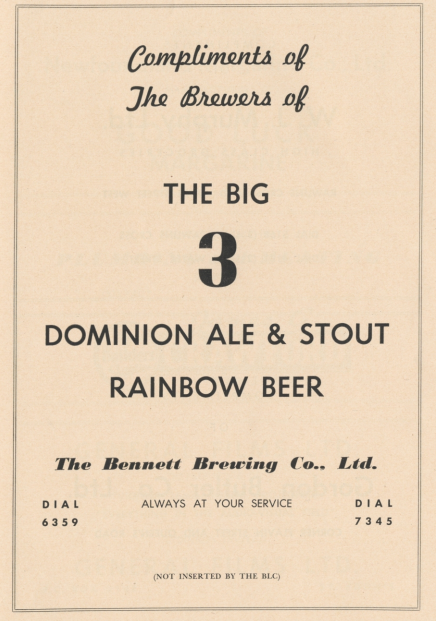 The Dow Brewery was a partner with Dawes in the early 20th century, but the Dow name took over Black Horse in the later half (until Molson). 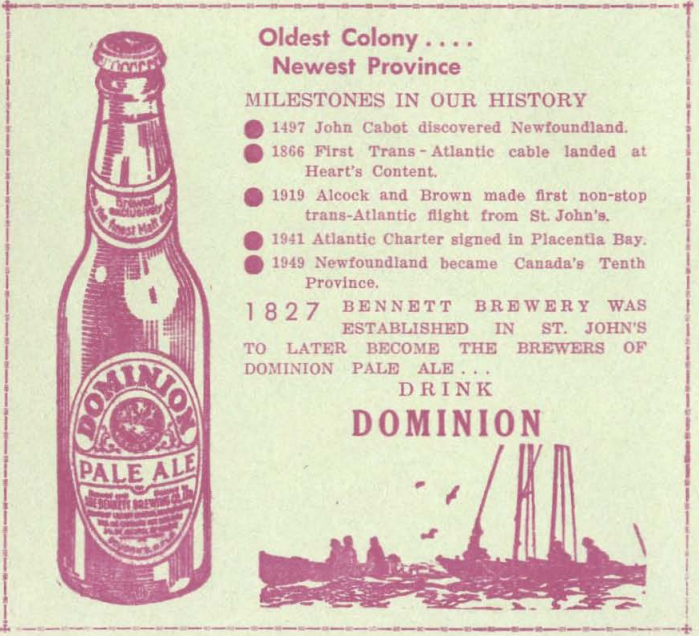 Advertisement for India Pale Ale, page 84. 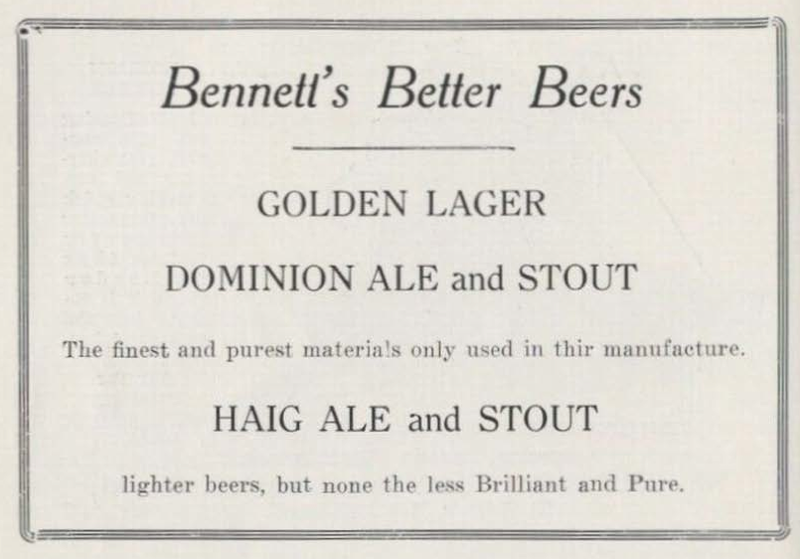 Advertisement for Bennett Brewery, page 162. 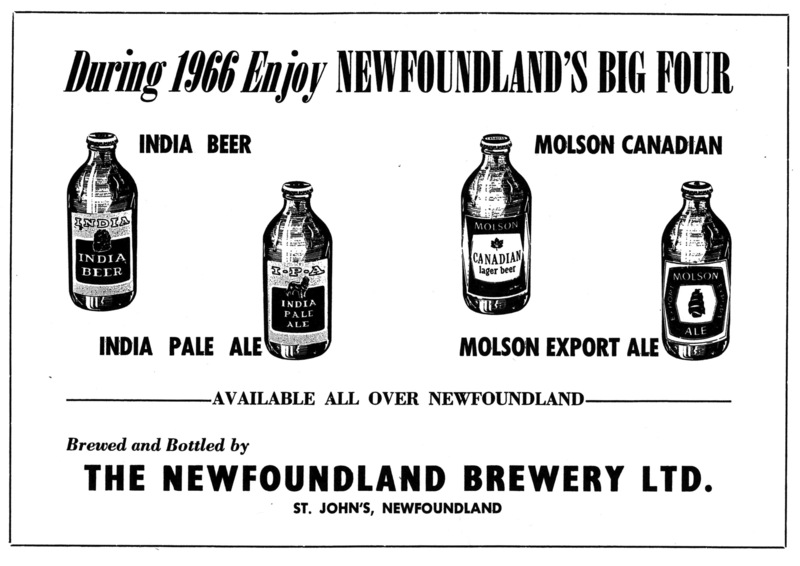 Some of the earliest references to beer consumption in Newfoundland appear in reference to John Guy’s colonists at Cupids and in the papers of Sir Percival Willoughby, from 1610 to 1631. Beer was commonly used as an alternative to fresh water by most seafaring nations of the day, and as a result beer was included as a staple of amy fisherman’s and early colonists’ diets. “An inventory of what provisions is Left at the English Coloni [sic] in Cupis Cove in the New Founde Lande [sic]” dating from August 1611 mentions fourteen pipes of beer included in the Colony’s provisions. “A noate [sic] for the provition [sic] of 20 men for Newfoundland” dated April 3, 1613 recommended some fifty hogsheads of beer for the voyage. Another typical voyage of the period, made by Richard Whitborne in 1622, carried twenty-six tuns of beer and cider. Sir William Vaughan (cited in D.W. Prowse: 1895) advised that strong liquor was unhealthy in cold climates such as Newfoundland’s and said that barley water or spruce beer was better for the health. The first locally brewed beer or cider was probably “beer brewed with molasses and spruce” which Sir Nicholas Trevanions mentions in article 27 of his Orders of the Fishery in 1712 (cited in Prowse). One of the earliest references to an established brewery on the Island appears in a letter from Governor Gambier to Alexander Caine, dated September 13, 1802. 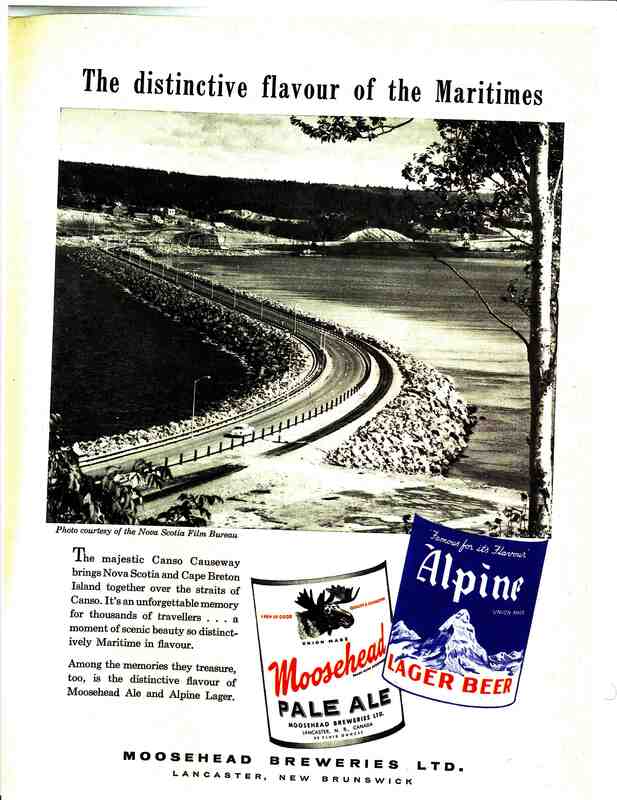 Caine was granted permission to establish a malt beer brewery on Mundy’s Brook, which feed Mundy Pond, St. John’s. 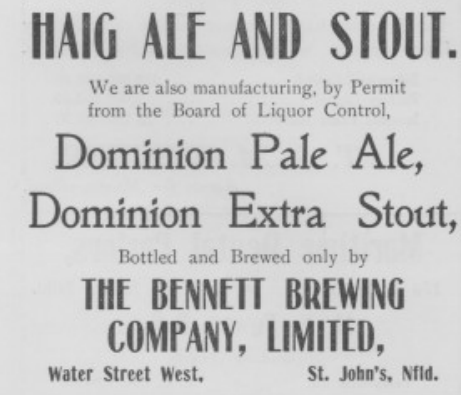 In spite of a rising organized Temperance Movement throughout Newfoundland in the mid-and late-1800s, several local firms established breweries or become involved in importing foreign stout, ales and porters, which are often regarded as a treatment for the invalided, feeble or sickly. 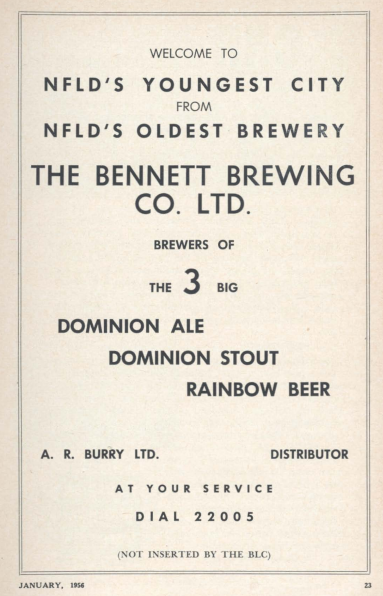 By 1897 E. W. Bennett’s Riverhead Brewery was producing an Invalid Stout for those in “delicate health.” During this period several local companies became agents for European stouts and ales which were popular in the community. 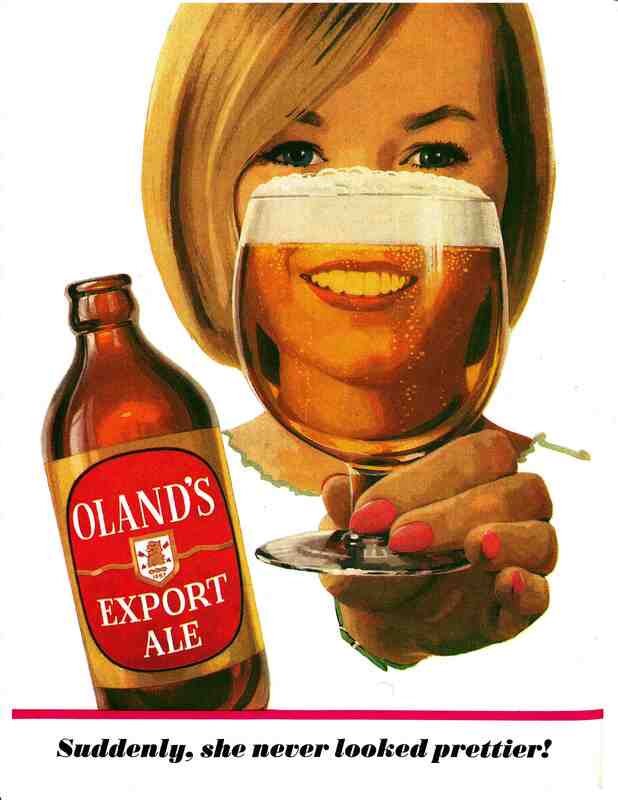 At least two local companies, J. Lindberg and James Baird Limited, became agents for Barr and Company Ale and Dogs Head Bass Bear, Guiness [sic] Stout and William McEwen Limited Beer, and several companies even exported beer products to England. As a result of a strong temperance sentiment throughout the Island most companies during the 1800s also produced Aerated Water (soft drinks) and syrups. At the beginning of the Twentieth Century, however, public sentiment in favour of restrictions on alcohol consumption resulted in the passage of the Intoxicating Liquor Act (1 Geo. V, c. 1) in 1911, and a tavern-closing curfew of 9:00 pm. In 1917 the Prohibition Plebiscite Act (8 Geo. 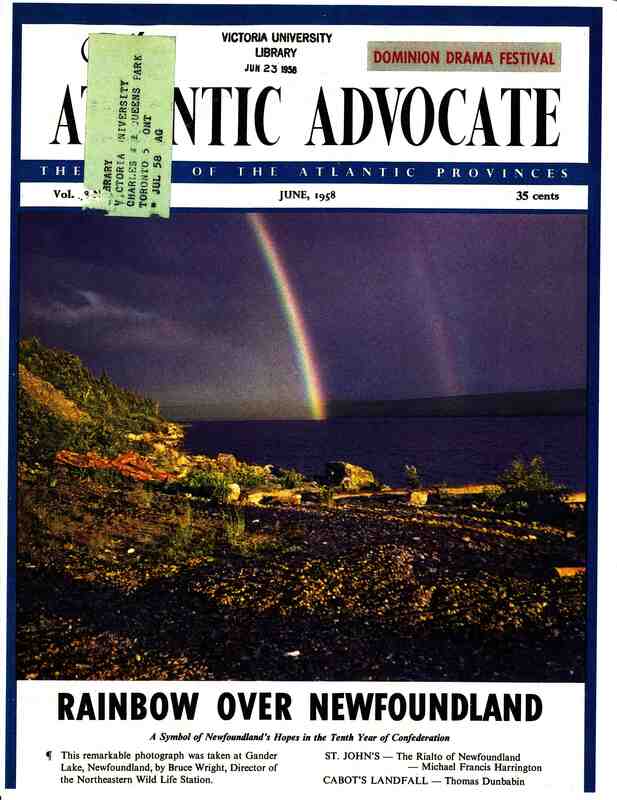 V. 1 & 2, c. 22) imposed total prohibition on alcohol consumption in Newfoundland. 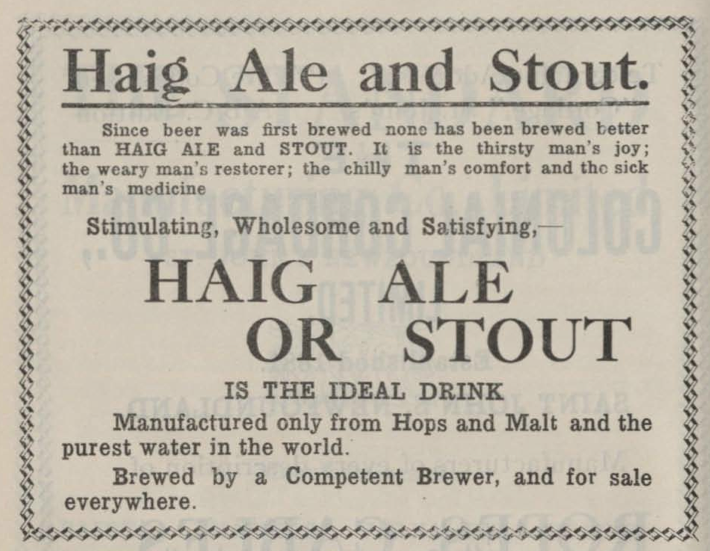 Most breweries simply reverted to their original production of aerated water or “near” beer (containing not more than 2% alcohol) until prohibition was ended in 1924. What would a spruce and molasses beer taste like? Probably something like this one made by Garrison Brewing in Halifax. 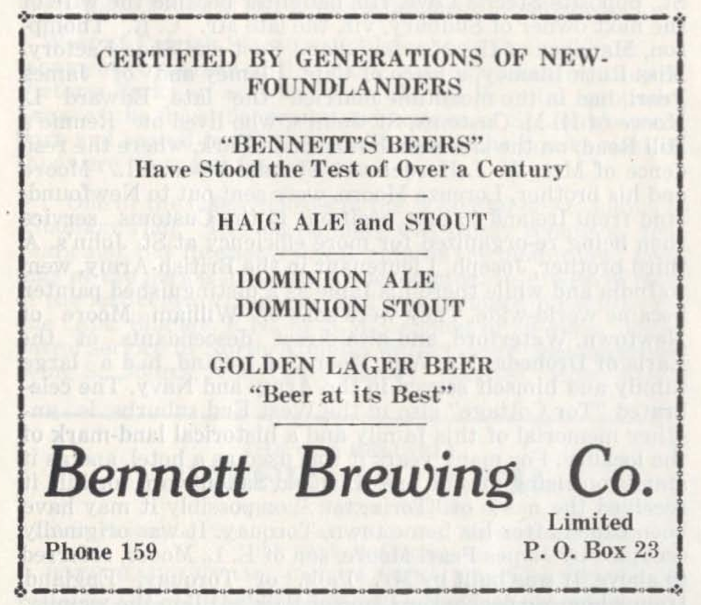 I should also note that one of the more popular accounts of Newfoundland’s beer history, from the Newfoundland Liquor Corporation’s Occasions Magazine from Fall 2008, seems to be largely based on this account from the Encyclopaedia.